In observing the 4th of July we also celebrate the diverse physical beauty of the United States. Luminism was a poetic art movement of the late nineteenth century that captured light as it played across the American landscape. It was derived from the Hudson River School that was influenced by European Romanticism. Luminist paintings often depicted cool waterscapes reflecting nuanced skies. These dramatic works were America's counterpart to French Impressionism. 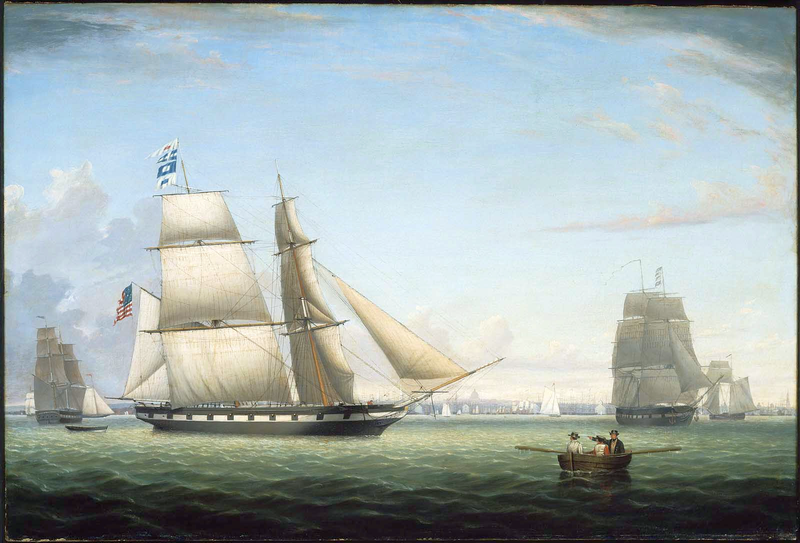 American painter and printmaker Fritz Henry Lane (1804-1865) was born in Gloucester, Massachusetts and would have pursued a maritime career if it were not for a life-long handicap. 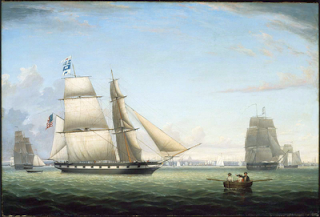 He instead translated his knowledge of nautical subjects to paintings such as Boston Harbor. 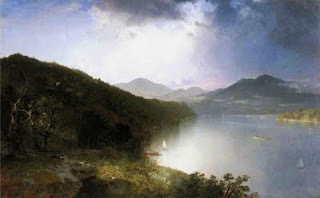 Connecticut born artist and engraver John Frederick Kensett (1816-1872) is best known for his landscapes and seascapes of upstate New York and New England as characterized by his painting Hudson River. 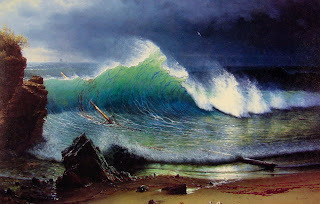 Albert Bierstadt (1830-1902) was a German American painter who is remembered for his panoramic paintings of the mythic West; in The Shore of the Turquoise Sea he painted translucent tropical waves.